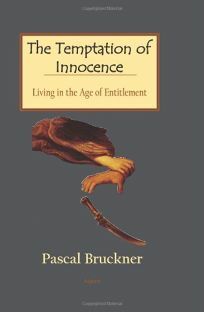 Prolific essayist and novelist Bruckner (a winner of France's prestigious Medici Prize) offers a gracefully erudite, deliciously mordant critique of a recent species of human self-deception: infantilism and victimization, the idea that powerlessness is a virtue without responsibility. Among those skewered by Bruckner's biting wit are parents who identify with the children they pamper, feminists who bastardize men, and ethnic nationalities (most especially the Serbs) who tout past sufferings as warrant for persecuting others. Bruckner's European education, which he wears lightly; his unpreachy, aphoristic style; and his obvious delight in paradox save this book from the ranks of a tedious diatribe against permissiveness. Citings of Europe's philosophical and literary masters (Rousseau, Hegel, Nietzsche among many others) help Bruckner, who is French (this admirable translation is not, alas, credited), make the case that the modern individual, weakened by responsibilities of freedom too great to bear, finds freedom in weakness itself: the freedom from moral constraint. In consequence, the distinction between genuine weakness, which merits compassion, and self-promoting distortions of it is obscured. Bruckner's paradigmatic antidote to resentment is decidedly French: the inventive lover for whom suffering is less a virtue than an unavoidable risk, made bearable not by self-deception but by acknowledging and tolerating ambiguity. In a final variation on Bruckner's theme of things becoming their opposites (e.g., victims who persecute), a childlike Cupid points individuals, social groups and nations away from childish self-pity into responsible relations with others. Bruckner should find a ready audience among philosophically inclined readers who bring a skeptical eye to contemporary trends and agree that freedom from responsibility is no freedom at all.